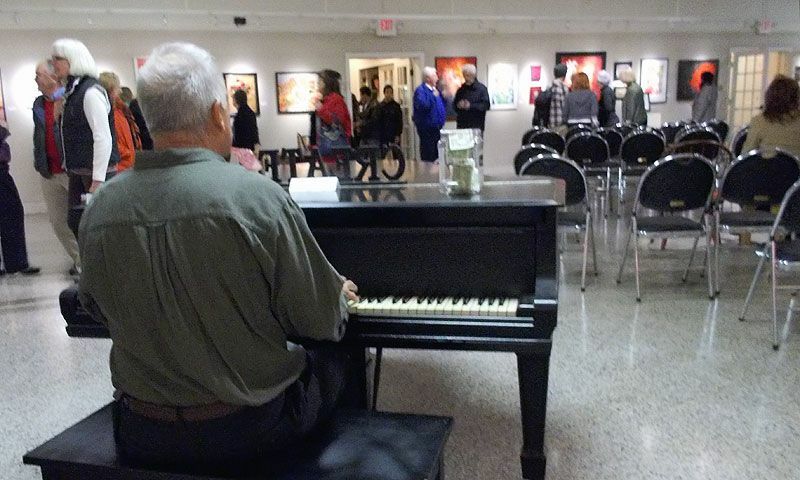 Browse the wide variety of creative artwork exhibited at St. Augustine's fine art galleries and enjoy an evening of refreshments and live entertainment at this festive monthly event. Near the Bridge of Lions. 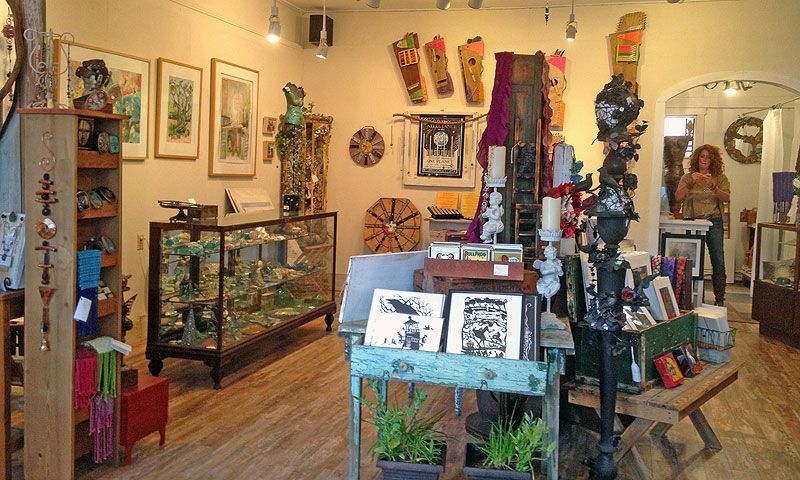 The next First Friday Art Walk is on May 3, 2019. 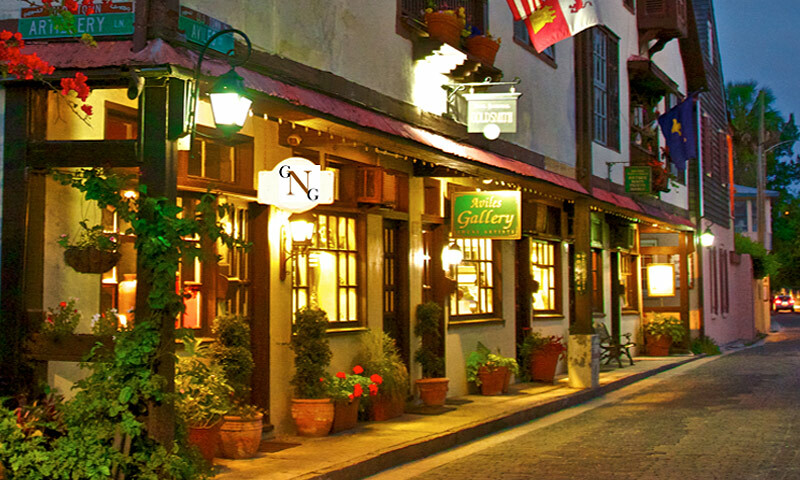 On the first Friday of every month, St. Augustine’s art galleries welcome visitors to browse the latest art exhibits and enjoy refreshments and live entertainment at some 30 participating galleries. 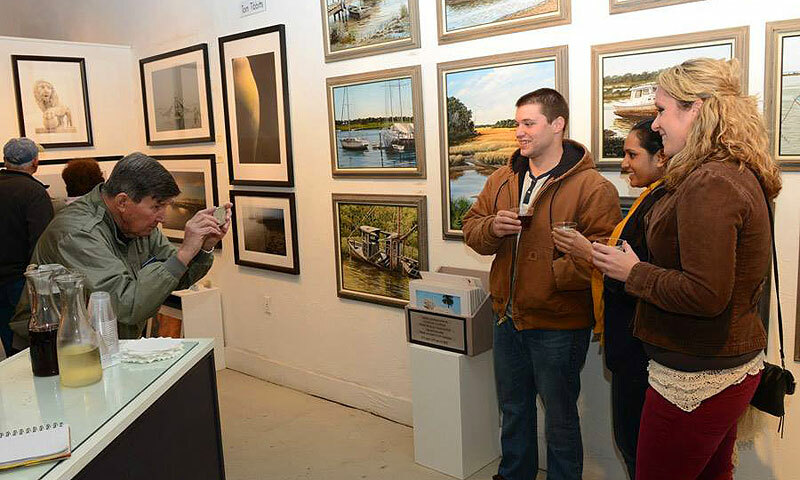 This cooperative open house showcases the amazing variety of artwork represented in St. Augustine’s fine art galleries, from contemporary to traditional and everything in between, created by local and national artists working in oils, pastels, photography, ceramics, wood, textiles, metal, and much more. For a full list of participating galleries, see the table below. 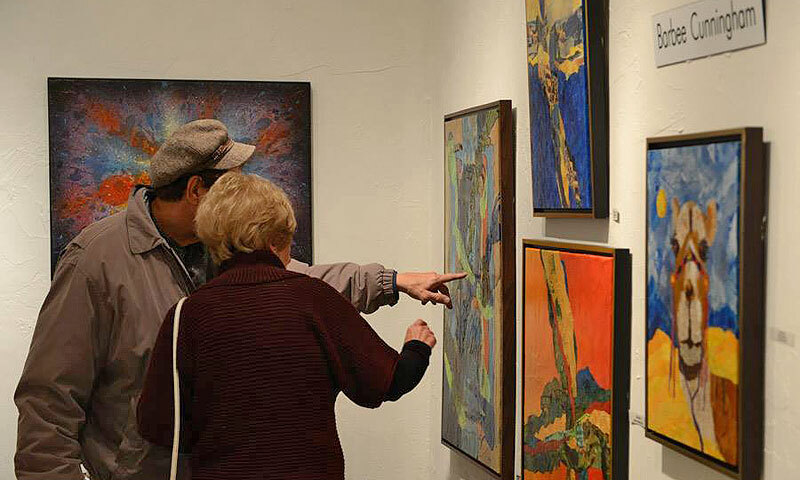 The galleries set out food and wine and other goodies on First Friday Art Walk, and many of the featured artists are on hand to answer questions about their work. The monthly event takes place on the first Friday of every month from 5:00 to 9:00 p.m., rain or shine, throughout St. Augustine's historic downtown area, from Aviles to King Streets, St. George Street and more -- even over the Bridge of Lions onto Anastasia Island and the beach. Old Town Trolleys and Ripley’s Sightseeing Trains provide complimentary shuttle service to most of the galleries, including the galleries on St. Augustine Beach. Call (832) 779-2781 for more information or visit here. 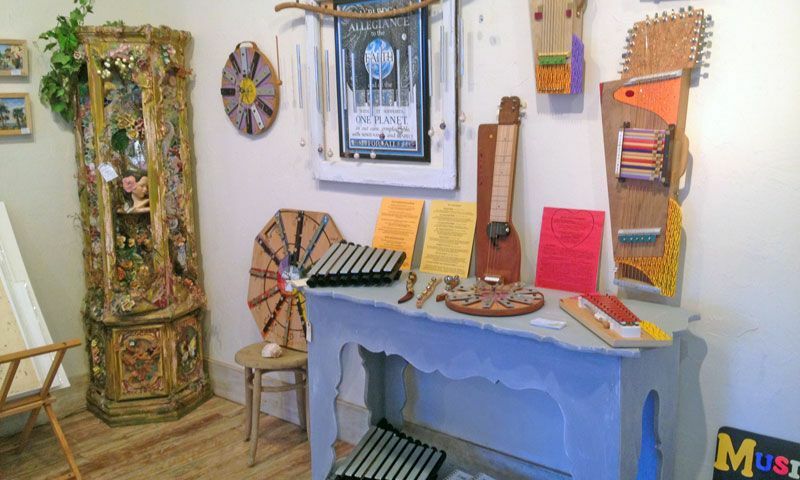 This creative event is sponsored by The Art Galleries of Saint Augustine, which is an artistic association of the diverse and eclectic art galleries located in the nation's oldest city. When: 5:00 – 9:00 p.m. on the first Friday of every month. Where: All through historic downtown and onto Anastasia Island. Download map.